> Mimecast > Cyber Resilience Preparedness. Expert Insight, Tips and Guidance. The power of preparedness is in your hands. 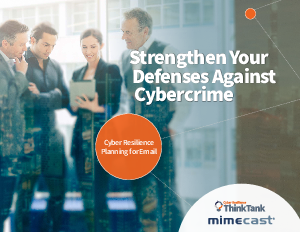 Get expert insight, tips and guidance from industry thought leaders on how to build a cyber resilience plan for email in this e-book.